After months of hype, Google’s premium Pixel 3 and Pixel 3 XL smartphones are now official. The big news is that both phones will now be available from Optus and Vodafone, in addition to just Telstra – so Australian buyers now have more options that ever for picking up Google’s flagship devices. With with the Pixel now available in stores, Google fans have a lot to consider before committing to a plan and provider. Read on to find out which plans are available with the Google Pixel 3, what you’ll pay, and all the offers you’ll find from each telco – or jump ahead to your preferred provider with the links below. To give you an idea of what to expect on a Telstra plan, the below table outlines the telco’s Small through to Unlimited plans. Keep in mind that these prices are for your plan only, and don’t include the monthly payment for your Google Pixel 3; you’ll also notice that while the Extra Large plan is priced at $129, it’s currently available for $119. These are featured products from a referral partner. Like Optus, Telstra offers both traditional two-year plans, and a two-year lease deal. Leasing is around $10 per month cheaper, but again, you won’t own your phone at the end of the 24-month agreement. You can, however, upgrade after 12 months, but you’ll need to pay Telstra $99 and return your Pixel in good working order. Both new Pixels are compatible with Telstra Messaging, a message platform that allows for group chat, file transfers and more. Telstra customers who purchase or order their Pixel 3 before 25 December will also receive a bonus Google Home Mini, valued at $79. The below table outlines all of Vodafone’s Red and Red Plus postpaid plans, which are available to match with the new Pixel 3 (Pixel 3 XL plans are also available, but with slightly different data inclusions). These prices don’t include your monthly handset payments. These are featured products from a referral partner. As Vodafone is the only major telco to separate phone repayment from your mobile plan, you have a little more flexibility when it comes to picking your payment term. The Pixel 3 will be available on interest-free payment plans of either 12 months, 24 months, or 36 months; the total cost of the device is the same no matter which option you pick, but your monthly payment will vary. The above prices don’t include what you’ll pay each month for your Vodafone plan: you’ll need to add your phone payments to your choice of Vodafone Red or Red Plus plans, featured above, for the total monthly cost. The table below features the available Optus My Plan Plus options for the Google Pixel 3 (not including your phone repayment costs, which are outlined below). As with Telstra, Optus customers can select from a standard two-year phone plan, or lease their device via Optus’ Flex plans over 24 months. Leasing is cheaper, but you won’t get to own at your phone at the end of your two-year lease term; you can, however, upgrade at 12 months, for a $99 fee, provided you sign a new 24-month agreement. 50GB My Plan Plus: $88 per month ($85 plan + $3 phone payment). Total cost $2,112 over 24 months. 50GB My Plan Flex: $85 per month ($85 plan + $0 phone payment). Total cost $2,040 over 24 months. 50GB My Plan Plus: $100 per month ($85 plan + $15 phone payment). Total cost $2,400 over 24 months. 50GB My Plan Flex: $90 per month ($85 plan + $5 phone payment). Total cost $2,160 over 24 months. 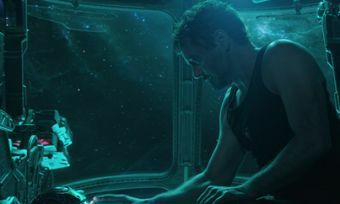 Which Marvel movies should you watch before Avengers: Endgame? The amount of data the provider has advertised for the billing period of their plan. Billing periods usually range from 28 to 31 days, but can vary - contact the provider for the billing period costs and inclusions. Actual product inclusions can be found on the provider’s website. The advertised cost the provider has advertised for the billing period of the plan. The search results do not include all providers or products, and may not compare all features relevant to you. By clicking on a plan name, brand logo, 'arrow' button, 'go to site' or 'details' button, you may leave Canstar Blue and be taken to a referral partner website. You agree that Canstar Blue’s Referral Terms apply to this referral. Advertised data (per billing, and monthly cost as shown in the table may not be the same as the amounts per billing period. Contact Provider for the billing period costs and inclusions. Some plans may apply additional charges where you exceed usage limits. Check the product provider's plan information. Products displayed by our referral partner will be the closest available match to your search inputs. If no reasonable match is available, no results will be displayed. Some providers may cap the provision of unlimited data at maximum speed. Once this cap is reached the provider will then revert you to a slower speed. See providers website for more details. Handsets available for Pre-Order not available same day. See provider's website for expected release dates and delivery times. By clicking on a brand, 'go to site' or ‘details’ button, you will leave Canstar Blue and be taken to our referral partner to compare. Canstar Blue may be paid for this referral. You agree that Canstar Blue’s terms and conditions apply to this referral.